Handcrafted in the USA with superior quality craftsmanship, the Gibson Stall Bar is great for both individual and group training. Made of hardwoods, the Stall Bar stands 8' high with twelve, 1 1/2" rungs and a chinning bar that extends out at the top. Individual Stall Bars (34" wide) can be attached side by side to create an exercise and workout wall. Installation hardware included. 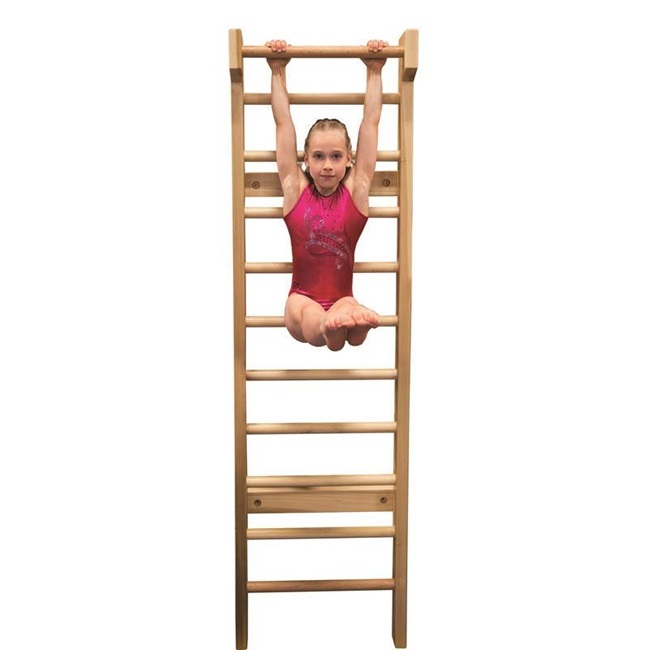 Gibson Junior Stall Bar (24" wide) stands 7' high with eleven, 1 1/2" rungs and a chinning bar.